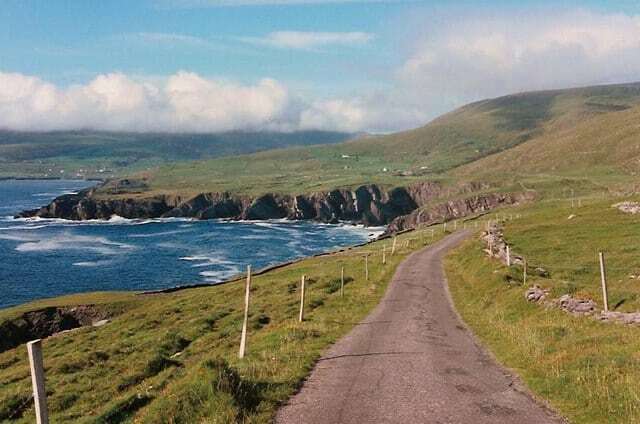 The Bolus Loop Walk is a moderate 2.5 hour (7.5 km) scenic coastal walking route near the village of Ballinskelligs in county Kerry in the beautiful south west of Ireland. This walk starts from the car park at monument to the American Liberator, which crashed off the Skelligs in 1944. The walk is easy follow on our maps and App but follow the purple arrows through gates,over styles, over streams and along the slopes of Bolus mountain. There are superb views of the Skellig Rocks and the Atlantic Ocean from here and there a high cliffs alongside the path so careful. From here you follow the purple arrows and return via the Green Road. Use our Map of Ireland and Sat Nav tool to get directions and our detailed route map and GPS on our ActiveME iPhone and Android App to find and follow the route live on screen and keep on track. At all times, our maps and App should be used in conjunction with proper map and compass navigation techniques. Feel free to send us your photos and add you own star rating, comments or suggestions below.